shown as decoration today. We can already buy them, strawberries grown on our home soil. They’re still rather expensive and so we must be happy with two or three of these wonderful fruit decorating a dessert, a drink or a cake. 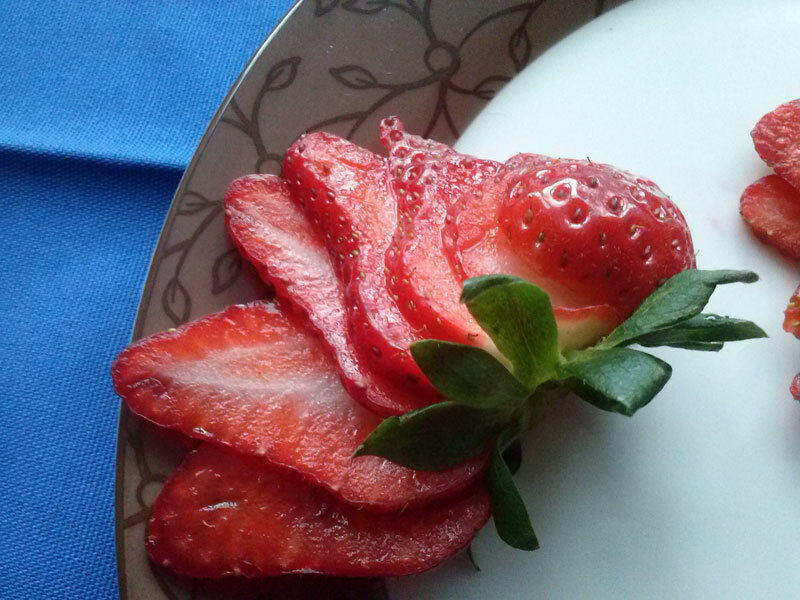 The strawberry on the left is cut into thin slices stopping shortly before its green. 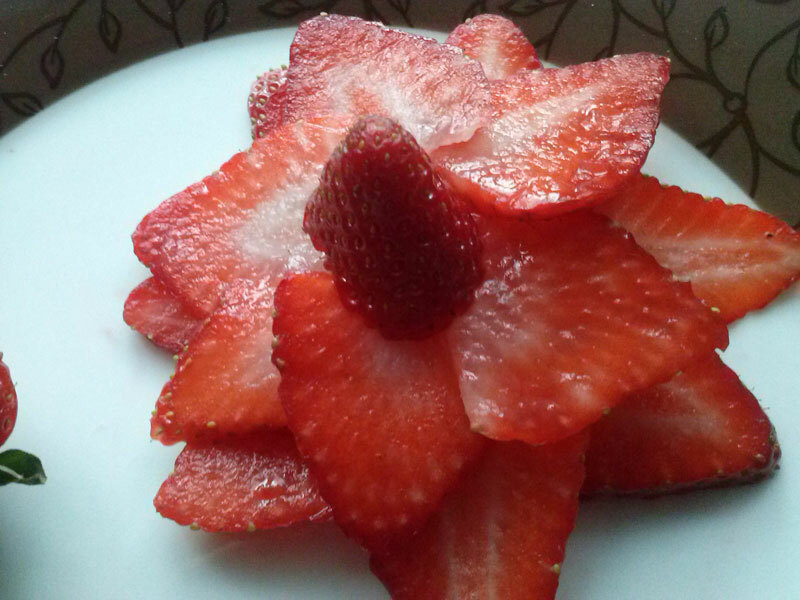 The slices in the middle are placed like the leaves of a flower. 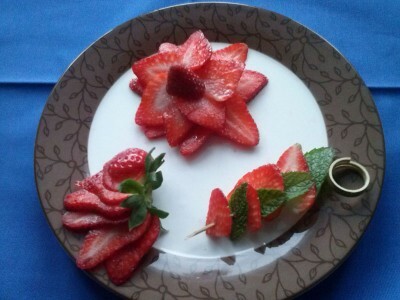 They’re staggered in two layers and a small tip of an entire berry makes the center of the star or flower. 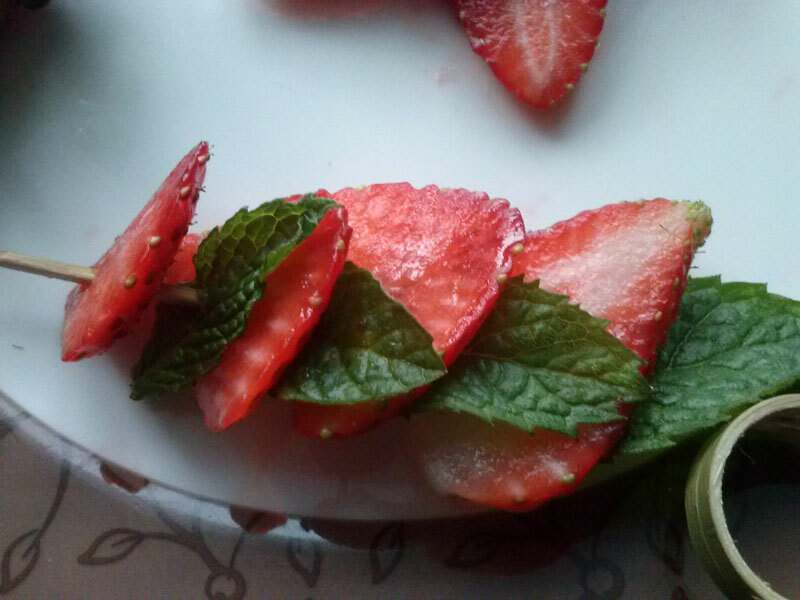 Down on the right strawberry slices are speared with mint leaves. 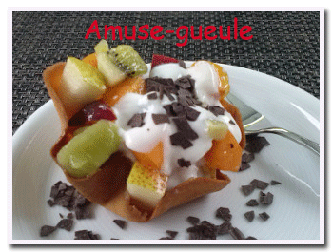 They’re very good with yoghurt or curd cheese desserts. 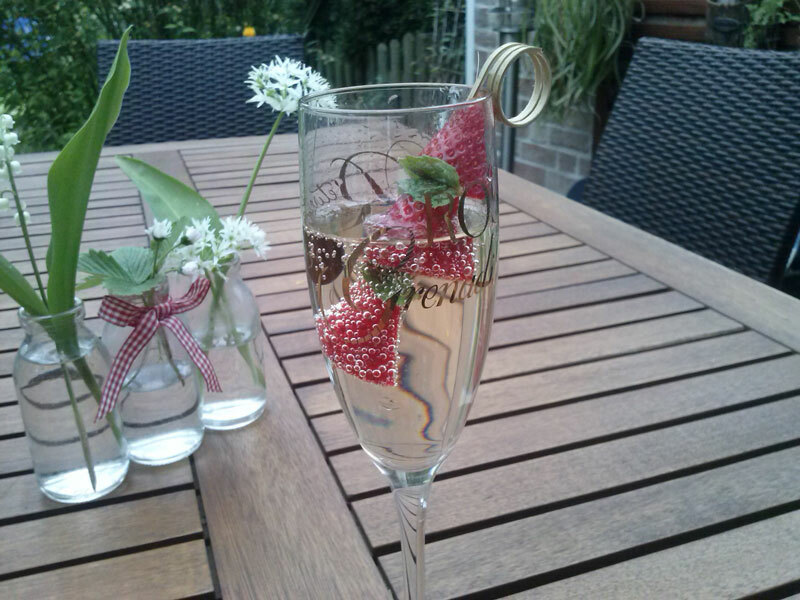 If you take entire or half fruits the spears can be clipped into a glass of champagne. That looks really nice and you’ll enjoy the refreshing drink.